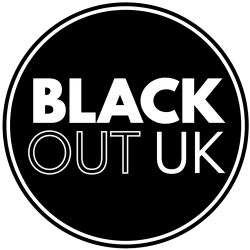 BlackOut UK Read: Mother knows best? It is the morning after the night before. Troy arrives at Mothers, looking for tea and sympathy. Instead Mother opens a bottle of Sauvignon Blanc. TROY: He just wouldn’t speak to me this morning which is a bit rich? He’s the one messing around behind my back and he decides to cold shoulder me? MOTHER: And he didn’t try to defend himself? TROY: When I got up this morning I thought, he’s slept on it, and has had time to gather his thoughts. Now we’ll talk it through, but he gets up, showers, and is out the door without a bye or leave? MOTHER: Poor baby, I can see why you’re upset. You know I had a feeling this morning that something was going to happen. You know how I get that dull pain between my temples. Plus, Mercury is squaring Saturn, in Capricorn. TROY: You can’t expect us to carry on after what he’s done? MOTHER: Did I ever tell you about the time I attacked my first boyfriend Jim, with a knife? TROY: Was he cheating like Alex? MOTHER: Worse, but hold on, we don’t know that Alex, is cheating? TROY: It’s what Marlon told me. I wish to god that I’d dreamt it, but I heard it from the horse’s mouth. MOTHER: And Alex denied all knowledge of having gone out with Marlon? TROY: How do you mean? MOTHER: I wanna know what’s going on for you? TROY: I was trying to get to the truth! TROY: I’m the one whose…….. TROY: Do you think so? TROY: There’s seven years between us that’s not….. TROY: You really think so? MOTHER: So that’s that settled. MOTHER: Are you sure you don’t want any more wine? MOTHER: And have Alex come running after you and beg you to come back? No, listen to Mother, Mother knows. Leave him! TROY: But what about Alex? MOTHER: Are you quite finished? MOTHER: (Quietly to himself) mother you’re a genius! TROY: (Searching his pockets) Have I got everything? TROY: Did you really mean all those things you said about Alex? MOTHER: What things are those dear?